Um Omar was talking to me in her tent in the Hassan Cham camp, one of 10 camps in the Khazir area, about 30 kilometers away from Mosul. ISIS used to occupy the area but after fierce battles the Peshmerga forces liberated it. As for the ‘biters’ that haunt the days and nights of Um Omar and many other female survivors , the term refers to the ISIS women police team, which roams the markets and houses to ensure that women are dressed and behaving properly. These teams are also called the women’s Hesba or Al-Khansa Brigades, but the popular name that they have come to be known is “biters”. 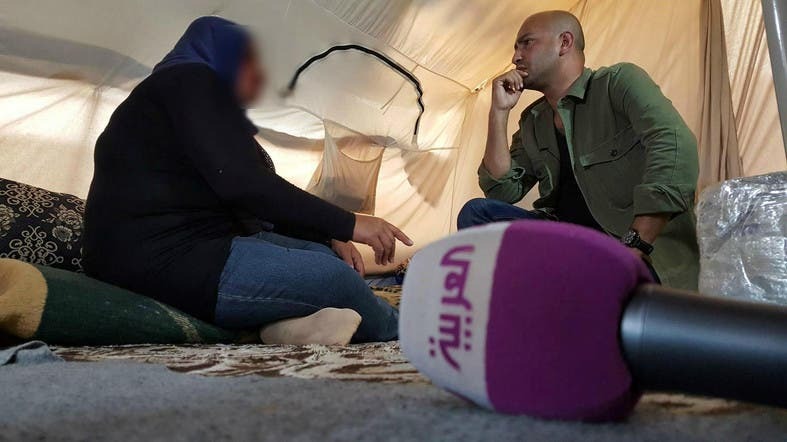 If the brigade catches a woman who is showing some skin that should be covered , they start biting her right there until they cover themselves, or to punish her for not complying with the so-called rules of ISIS. Other forms of punishment include flogging, imprisonment and financial fines. These ‘biters’ have caused a growing security concern inside the camps after one of the displaced women revealed that she recognized the voice of a ‘biter’ but the latter managed to escape before being arrested. The issue of these ‘biters’ is part of a broader issue of how it is possible to distinguish between the civilian population and the ISIS elements? How can one be sure that the fighters of the organization did not sneak in with the displaced people who fled Mosul? There are no guarantees. 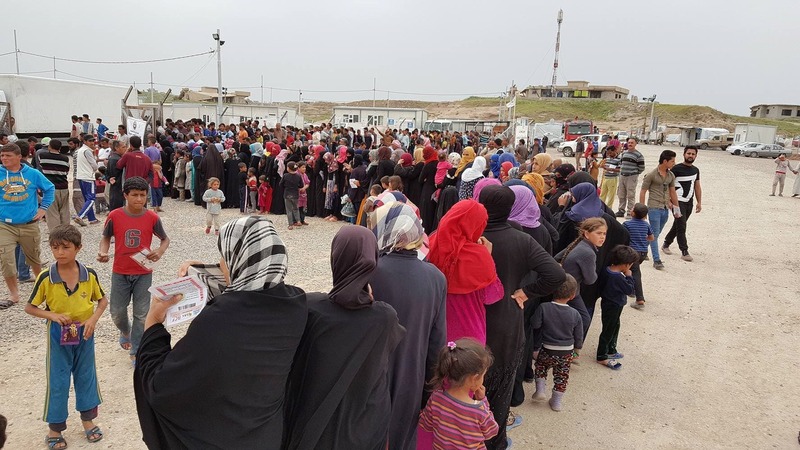 As the fighting progresses in the western coast of Mosul and the number of displaced people increases to nearly 10,000 a day, the biggest concern of the Iraqi authorities and humanitarian organizations remains putting in place the logistics for shelter, food and security for more than half a million displaced. Meanwhile, the task of checking their affiliations or links to the extremist organizations is receding into the background. The bulk of this process is left to the displaced themselves. Relief workers try to gather the people of each district, neighborhood or village in one camp so that the inhabitants can identify each other and report any intruders or suspected profiles that can then be checked in-depth later. From time to time, some of the displaced identifies a person here or there as an armed supporter of ISIS or a sympathizer. This method may be valid in identifying ISIS fighters from among the crowds, while for women it’s very difficult to spot them since the team of ‘biters’ are covered from head to toe in black and even the eyes are covered with a semi-transparent layer of fabric so they remain anonymous to their victims who been bitten , beaten or humiliated. The ‘biters’ then have a greater chance than men in escaping the conflict areas and infiltrating the displaced camps.